11 New York Premieres and two World Premieres of Caribbean-centered feature films and shorts bringing the richness and variety of Caribbean cinema to Brooklyn, home to the largest population of Caribbean nationals in the United States. It begins with Opening Night film Yardie, an adaptation of Victor Headley’s novel and the directorial debut of international film star Idris Elba (Star Trek: Beyond, HBO’s “The Wire”). It continues with a textured look into Haiti’s religious divide between Vodou and Christianity in Douvan Jou Ka Leve [The Sun Will Rise] (Généus, 2017); an insightful look into renowned reggae producer, Blacker Dread’s, life in Being Blacker (Dineen, 2018); a program of Caribbean diaspora shorts; the Puerto Rican historical sovereignty documentary 1950: The Nationalist Uprising (Davila Marichal, 2017), which screens with An Excavation of Us (Bruno, 2017); the Victor Jara Collective’s, The Terror and the Time (1978) and In the Sky’s Wild Noise (1983), thorough and poetic examinations of Guyana’s colonial and political heritage; the critically-regarded Dominican crime fable Cocote (Aria, 2017); and Closing Night film, the epic, poetic Jamaican documentary Black Mother (Allah, 2018). Our Festival Artist is Nyugen Smith. His visual art is featured above and our website and promotional material. Set in 1970s Kingston and 1980s London, Idris Elba’s directorial debut presents the life of a young Jamaican man named D, unsure of the adult he wants to become, but committed to avenge the murder of his beloved big brother Jerry Dread. Dispatched to the United Kingdom from Jamaica by his mentor, drug don and music producer King Fox, D reconnects with his childhood sweetheart and for the first time can envision a life without turmoil. But before he can be convinced to abandon his life of crime he encounters the man who shot his brother 10 years earlier, and embarks on a bloody, explosive quest for retribution. In a visual clash between the sacred and the profane, this visually striking yet intimate documentary captures Jamaica in ways never interpreted on film. 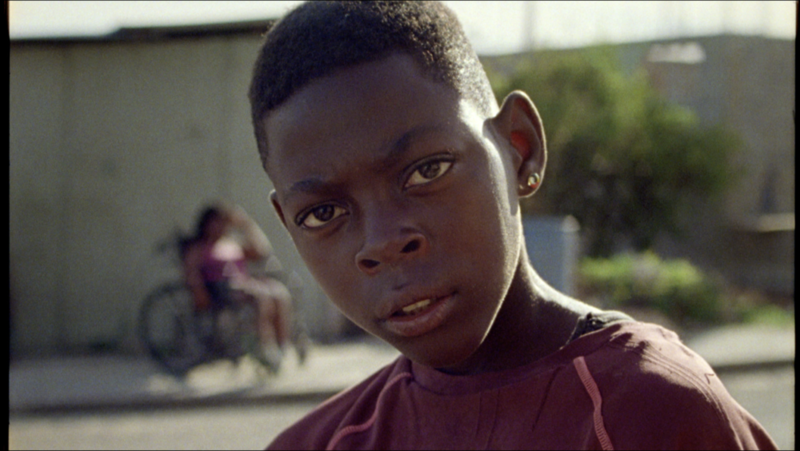 Khalik Allah’s rhythmic portraits of hope and survival via prostitutes, graybeards, rappers, Rastafarians and very pregnant women reflect their and the contrasts of the island nation they call home. Haitian filmmaker and actress Gessica Généus undertakes a journey to understand what she calls Haiti’s “illness of the soul”—the country’s fraught religious divide between Vodou and Christianity. With her mother’s bipolarity as her poignant point of departure, Généus skillfully interweaves traditional interviews and ethnographic-style observation with poetic narration as she seeks to connect the dots of her family’s, and her island’s fractured history. The result is a moving meditation on both mental illness and a nation’s as-yet unassuaged inner turmoil. In this modern fable, a man is drawn into following in the footsteps of the historic Haitian slave leader Mackandal, who is trapped in a curse which started centuries ago. Through their preparation for an annual steel band competition known as Panorama, we see how the vibrant, newly-formed Steel Xplosion overcome several challenges and obstacles facing the pan community in Brooklyn as they struggle to keep the music form alive. Fighting to get into Panorama, viewers get a raw look into what life is like in the pan yard and why pan players are willing to sacrifice so much for the opportunity to play pan in Brooklyn and to compete on a national stage. Carlos, a Venezuelan refugee who lives in Trinidad with his mother and older brother, finds respite from his troubled life by learning the art of stilt-walking. Inspired by Chilean dissident Victor Jara, and Guyana’s connection to the Third Cinema movement, The Victor Jara Collective presents two seldom seen documentaries. The Terror and the Time (1978) focuses on the 1953 upheavals in what was then British Guiana. This documentary was essentially banned by the Guyanese government, and it would be five years before the collective made their second and final film, In the Sky’s Wild Noise (1983). A mid-length work, it features the late historian and activist Walter Rodney, author of the seminal book How Europe Underdeveloped Africa. A self-styled “guerrilla intellectual” whose thinking influenced the black power movements in the US and the Caribbean, Rodney was assassinated by a car bomb in Guyana in 1980. Tiquan, a 13-year-old Antiguan, recounts bits of his daily life in his small village and community. A closeted young boxer in rural Cuba must face off with his best friend and rival for a chance to escape his hyper-masculine society. Living on the margins of American society, a Florida boy comes into contact with the sacred. A teenage girl finds that becoming a glamorous soca-music dancer is a lot harder than she first reckoned.